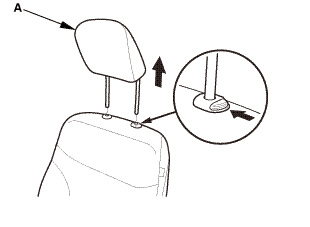 Remove the power seat adjustment switch knobs (A). 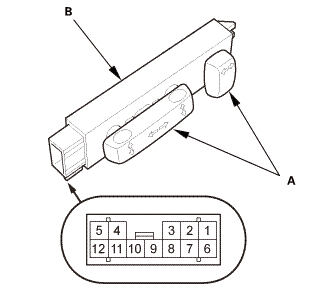 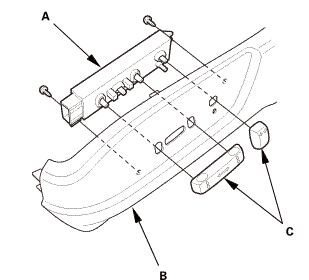 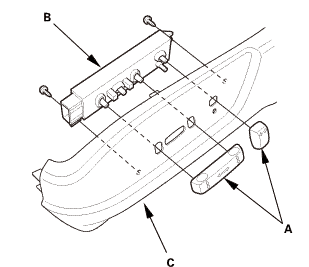 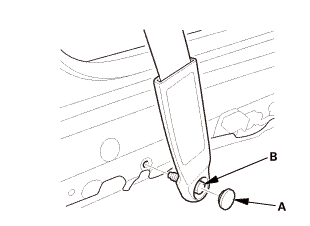 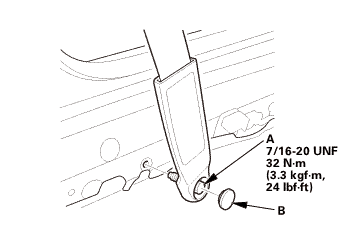 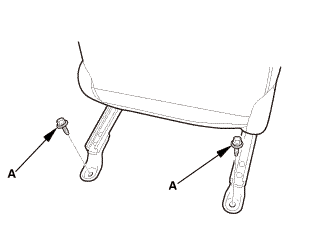 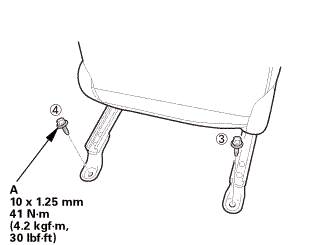 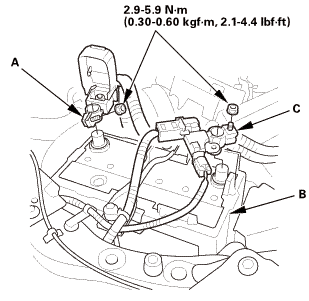 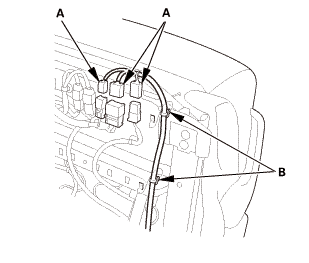 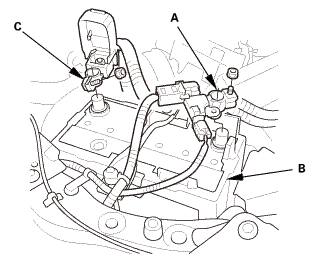 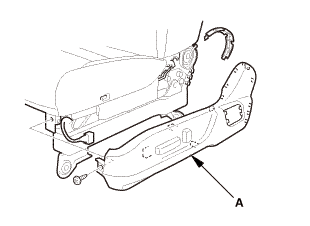 Remove the power seat adjustment switch (B) from the recline cover (C). 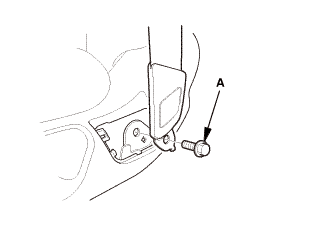 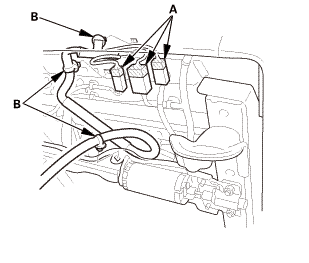 Reinstall the power seat adjustment switch knobs (A) to the power seat adjustment switch (B). 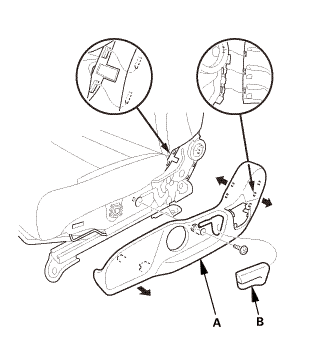 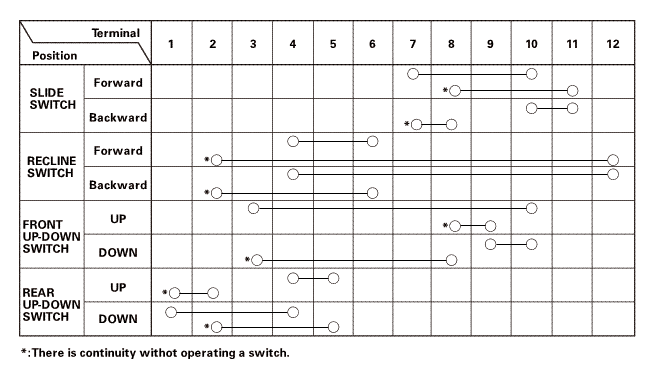 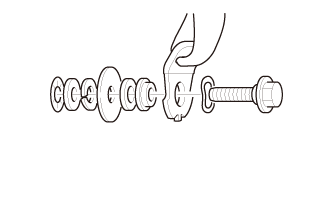 If the continuity is not as specified, replace the power seat adjustment switch. 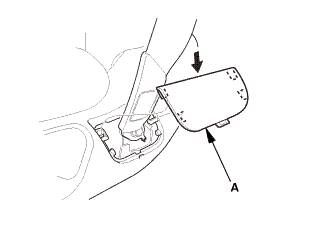 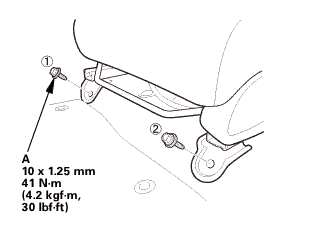 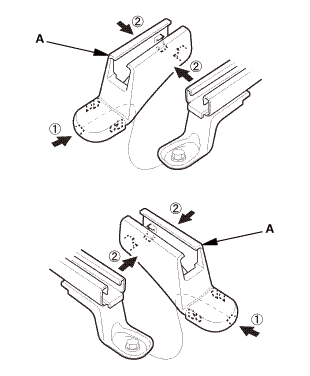 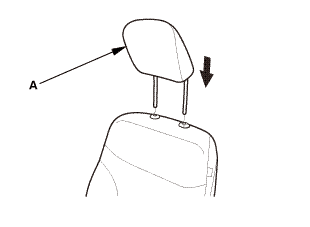 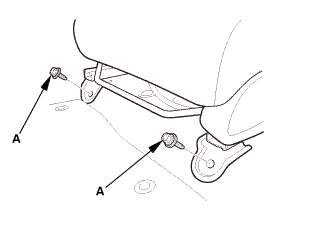 Install the power seat adjustment switch (A) to the recline cover (B). 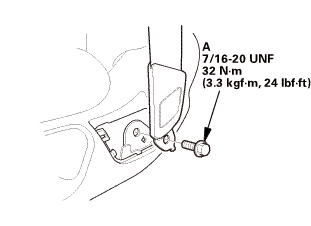 Install the power seat adjustment switch knobs (C).